Banks Peninsula is part of the most popular places of tourist interest and there are so many people who travel to this place every year. 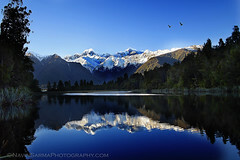 This iconic landmark is situated in the east cost of the South Island of New Zealand. With an area of 1150 Square KM, this is one of those places that you need to visit on your tour to the Kiwi land. There are many things that will attract you and for those who are associated with archaeological studies and geographical studies this region is a haven. There are prominent Volcanic features in the region. According to some studies in almost 98% of the total land is covered by native forest. When degradation of the forest started, the authorities came up with a plan and they created the private nature reserve, the Hinewai Reserve. This was initiated then has been a huge success in the preceding years where the native forest started regenerating again. This place is a soothing one for photographers and nature lovers and that is the reason why every year thousands of crowds visit this place. There are many trendy things that you can do here and tourists from all over the world do and one of those is the Banks Peninsula Track. This is a haven for trampers and bushwhackers and if you visit this part of the world do not forget to go for the famous Banks Peninsula Track.